Enterprise Earth, from Spokane. WA have been racking up the anticipation for their new album "Luciferous" set to release this spring! 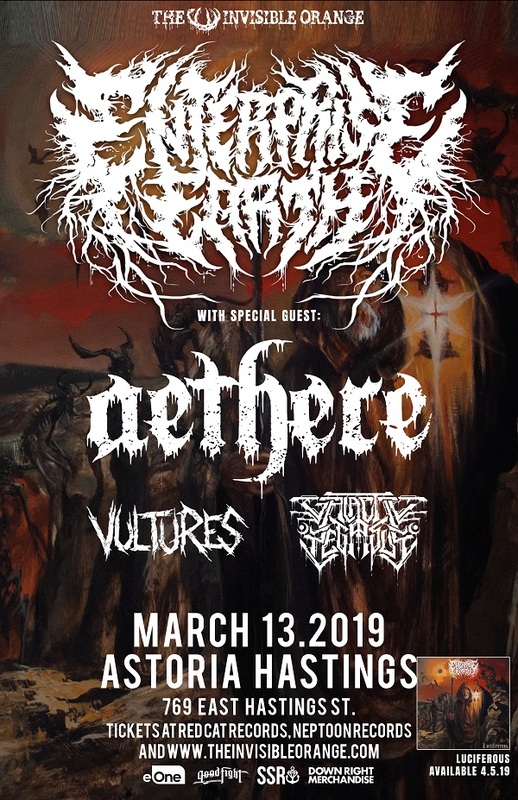 Joining them will be Aethere with their most recent release "Open My Wounds", Vancouver Island own Vultures and Vancouver locals Galactic Pegasus!